Quantum Break was packed with talented actors, both new and familiar, all of whom have been busy hard at work on new projects since the launch of the game last April. This is by no means a complete list, and it's not everyone that on the cast, but I thought it would be fun to return to some of the actors behind the title and look at the adventures they've been up to recently. Soon after playing Jack Joyce, Shawn Ashmore starred in abc's Conviction alongside Hayley Atwell. In the show, he played attorney Sam Spencer who was part of a team investigating wrongful convictions. After filming Shawn went on to play Conrad "Colt" Salter in the indie-thriller, Devil's Gate. The film is scheduled to debut at Tribeca 2017. (If you're attending the event, Tribeca will also have Remedy's Creative Director, Sam Lake, holding a lecture on game writing.) In recent months, Shawn has been filming Acts of Violence. In Quantum Break, Courtney Hope played Beth Wilder, but the title wouldn't be the her only time travel project that year. In 2016, Courtney also played Cassie Sinclair in the film Displacement. According to the film's IMDB page, Cassie is a physics student searching for a way to reverse a "quantum time anomaly and solve the murder of her boyfriend." The film is schedule to be released later this month! In addition to the movie, Courtney has also been filming The Bold and the Beautiful, an American soap opera, where she plays Sally Spectre. The show recently celebrated its 30th anniversary! Gamers may have already seen Lance Reddick back on their screens recently in a surprise role. Lance plays Sylens in Guerrilla Games' Horizon Zero Dawn. His involvement in the project was teased in one of the final trailers for the game just prior to its release in February 2017. Recently returned to star in Bosch, with fellow Quantum Break co-star, Jacqueline Piñol who played Sofia Amaral. Bosch is a Amazon Prime series which started back in 2014. To wrap up this post, there's Patrick Heusinger who portrayed Liam Burke in the game has had a busy past few months of announcements. He is set to star in Accommodations, an indie production and also in Absentia, a crime thriller. The reveals came just weeks after his Jack Reacher 2 was released in cinemas last October, in which he plays The Hunter. 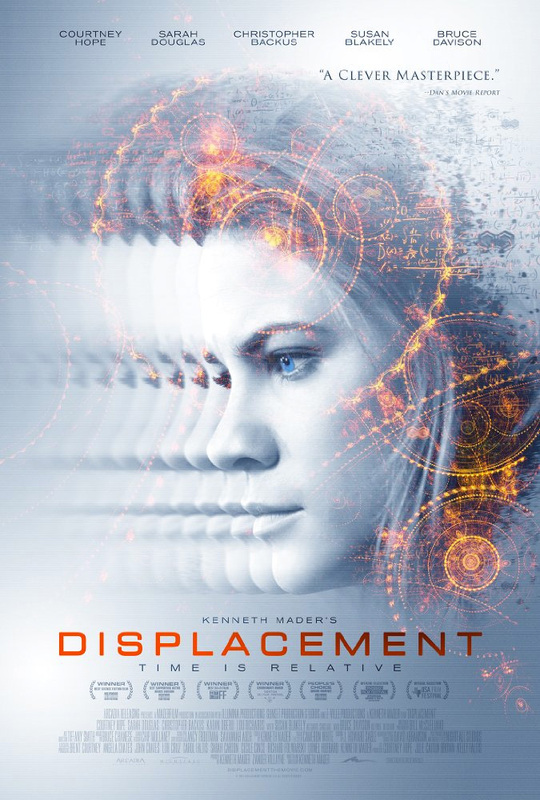 Poster for Displacement, image from IMDB.